'Tai Lake': Murder Most Ecological In China A Chinese poet-turned-detective investigates a slaying seemingly linked to industrial dumping. 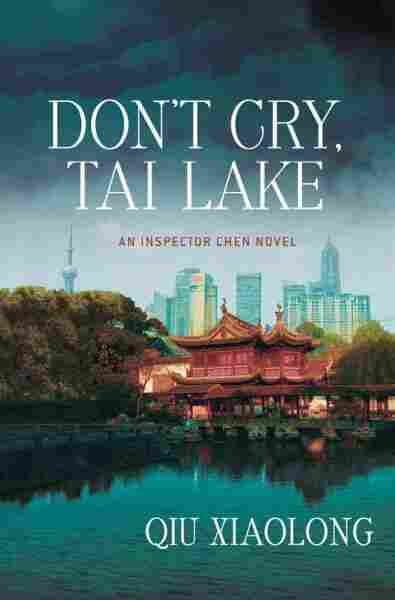 Don't Cry, Tai Lake is the politically charged seventh novel in Chinese expatriate Qiu Xiaolong's Inspector Chen series. It's always bad news when a detective books a vacation. Where other frolickers find fun in the sun, investigators are more likely to stumble over stiffs in the sand. The Orient Express was a train enthusiast's dream until Hercule Poirot — and Death — stepped aboard; in Dorothy Sayers' classic mystery, Busman's Honeymoon, Lord Peter Wimsey and Harriet Vane can't even enjoy a little nookie in their nuptial hideaway without bumping into an intrusive cadaver in the cellar. In detective fiction, Death never takes a holiday. So, when Chief Inspector Chen Cao of the Shanghai Police Department lucks into an all-expenses-paid getaway package, we veteran mystery readers anticipate that more snooping than snoozing will soon be on Chen's vacation itinerary. We are not disappointed. Don't Cry, Tai Lake is the seventh novel in the politically charged Inspector Chen series written by Chinese expatriate and poet Qiu Xiaolong. 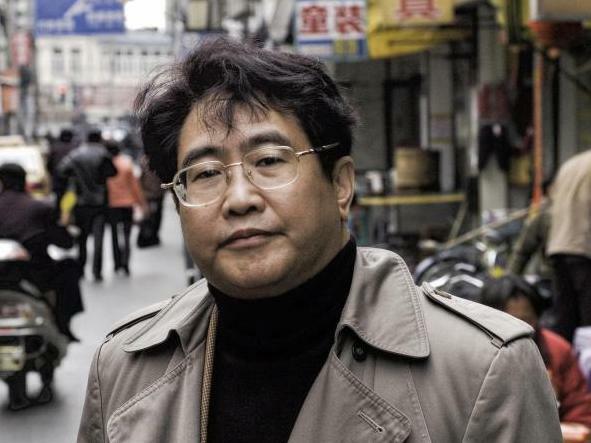 Like his creator, Inspector Chen is, at heart, a poet who thinks deeply about things: In particular, Chen ruminates over the human costs of China's rush to transform itself into a superpower. The series explores the dark underside of both communism and capitalism. In past outings, Chen, a Communist Party loyalist, has been drawn into murky ethical dilemmas where upholding the law and the dicta of the party would pit him against intellectuals, social activists and other dissidents working for the common good. The dilemmas — and waters — literally get murkier in Don't Cry, Tai Lake, which delves into the ecological disasters perpetrated by China's ever burgeoning and loosely regulated manufacturing plants. Chen unexpectedly lands in the lap of luxury when his "godfather," Comrade Secretary Zhao, makes him an offer he can't refuse: a coveted stay at a Communist Party retreat center on the shores of Tai Lake about an hour away from Shanghai. The luxurious resort is the domain of high-ranking cadres, and Chen, as usual, feels alienated from his surroundings. Venturing out beyond the gates, Chen discovers a workers' cafe where he orders some local beer and eels. A young woman sitting nearby, however, advises him to pass up the eels — as well as the local beer and the "stinking tofu" that he thought would be "a safe bet." Turns out the woman, whose name is Shanshan, studies the environmental problems caused by the industrial dumping. Poet and novelist Qiu Xiaolong was born and raised in Shanghai and now lives with his family in St. Louis, Mo. "Paper mills, dyeing factories, chemical companies and whatnot. In the last 20 years or so, those plants have sprung up like bamboo shoots after the rain. Now they make up more than 40 percent of the city's total economic output. Relocating them is out of the question — there are too many of them. The local officials aren't eager to do anything about it." The particular lake blob Chen surveys expands outward from the Wuxi No. 1 Chemical Co. When the director of that company is found murdered in his apartment, which doubles as a romantic hideaway, Shanshan and a fellow ecological warrior are obvious suspects. Since Chen is deeply smitten with Shanshan, he surreptitiously begins working — on his vacation! — to find the killers. The Inspector Chen series may be set in contemporary China, but it owes a lot to the tradition of the good old American Western (one of the literary influences on detective fiction, in general). Chen is a lone man of integrity on a wild and wooly frontier, one where the rules are tough to enforce and the weak are in danger of being trampled under the stampede of outlaw capitalists. Like Marshall Dillon, Chen manages to temporarily clean up his small stretch of the Main Street of Dodge (or Wuxi or Shanghai) but, as this latest adventure vividly underscores, the job is ultimately too big for one detective — with only his books and his poetry to protect him — to carry out alone.